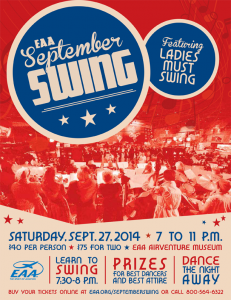 Relive the excitement and glamour of the 1940s at September Swing! Click here for more information or to order tickets today. This big band hangar dance features the sights and sounds of Ladies Must Swing, an all-female, 19-piece jazz band from Madison, Wisconsin. 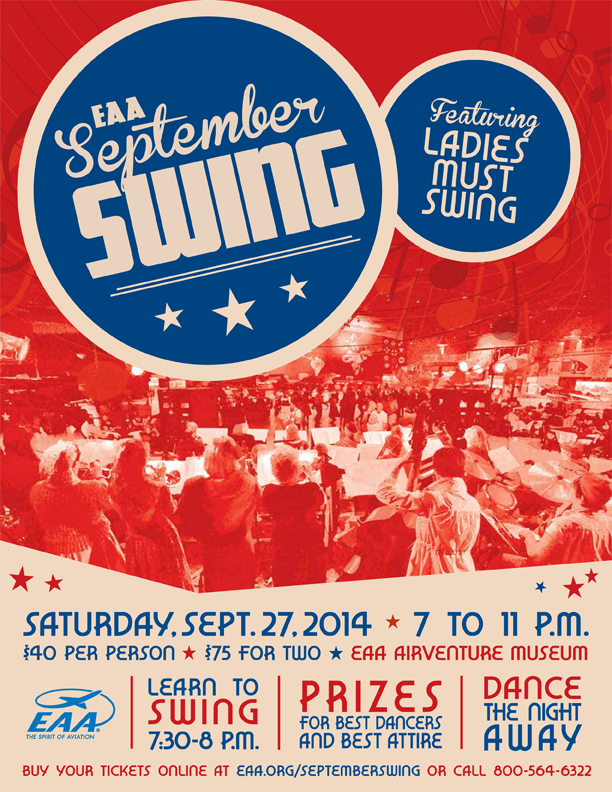 Learn to swing dance (or practice your skills) and then dance the night away amid the Eagle Hangar’s authentic collection of World War II planes, vehicles, and artifacts. Great music, delicious hors d’oeuvres, and 1940s fun make up this exciting event. Vintage wear is encouraged, but not required. Prizes are awarded for best period attire and best dancers.